This year’s From Page to Screen Festival will take place from 24 to 28 April and will be a celebration of adaptations from page to the ‘big screen’. This year Bridport Arts Centre will be working with the Electric Palace to deliver the five day festival. From Page to Screen is the UK’s only festival commending the adaptation of books to film. Each year a guest Curator joins us to provide film fans with a thought provoking line up. Previous Curators include Jon Ronson, Francine Stock, Charles Sturridge and Nick Marston. This year we have Christine Langan taking on the role of Curator. Christine has an extensive background in film production and currently works at Baby Cow Productions with business partner Steve Coogan. Christine has produced films which include The Queen (2006), The Duchess (2008), Saving Mr Banks (2013). 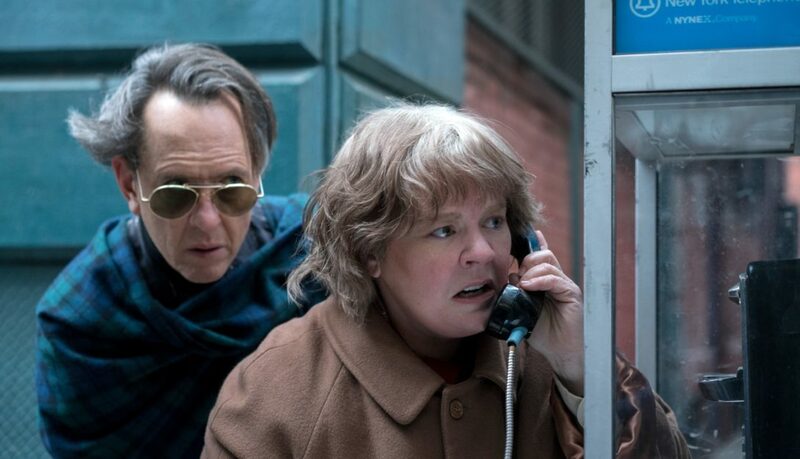 Lee Israel (Melissa McCarthy) made her living in the 1970s and 80s profiling the likes of Katharine Hepburn, Tallulah Bankhead, Estee Lauder and journalist Dorothy Kilgallen. When Lee is no longer able to get published because she has fallen out of step with current tastes, she turns her art form to deception, abetted by her loyal friend Jack (Richard E. Grant).